50 years have passed since Professor Spiros Marinatos began the excavations in Akrotiri and unearthed this wonderful city buried under tons of volcanic ash. Thus, Akrotiri becomes a source of inspiration for 27 artists who organize a group art exhibition for the 12th consecutive year. The exhibition that ran at Bellonio Cultural Center all these days is transferred tonight to Oia. 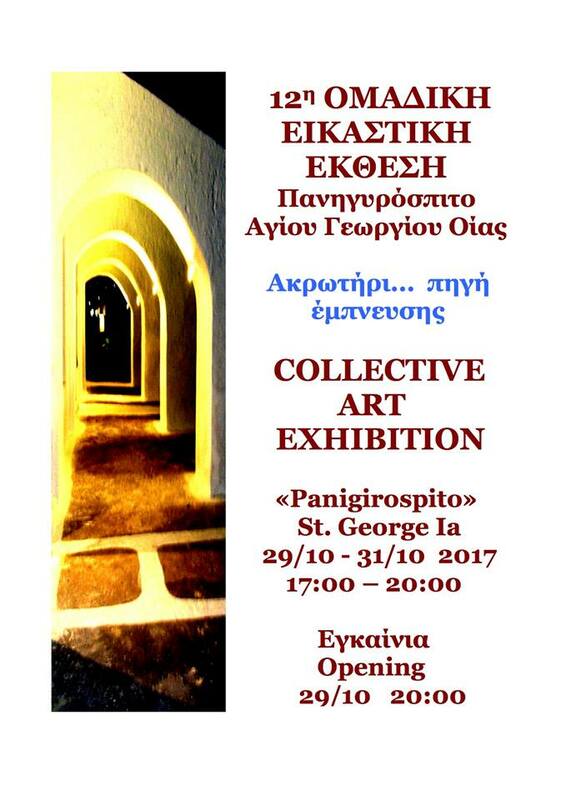 The opening takes place at 20.00 in the Panigirospito, opposite the church of Agios Georgios, in the beginning of the paved street in Oia and entrance is free of charge. The exhibition is open to the public until 31 October, 17.00 – 20.00.